1987’s The Lost Boy is a bona-fide cult classic, and one of the go to films when diving deep into the world of vampires on film. Fans have been thirsting for a sequel ever since the movie’s release, and before you ask the twenty years later direct to DVD sequels The Tribe and The Thirst don’t count. But it looks like we’re finally getting what we wished for with DC Comics imprint Vertigo (the mature readers arm of the company that brought us previous big screen adaption The Losers and current smash hit t.v. show Preacher) announcing a de facto The lost Boys 2 in the form of a comic book miniseries that picks up not long after the events of the original. Written by Tim Seeley, creator of the similarly horror tinged comic Hack/Slash, the story will see Jason Patric, Corey Haim, Corey Feldman, Jami Gertz and rest of the original’s cast likenesses involved in a fight against a new group of vampires, the Blood Belles, who descend on Santa Clara to bring their long lost sister, Gertz’s Star, back into the fold. As a massive The Lost Boys fan, the prospect of returning to 1987’s Santa Clara, and reconnecting with the Emerson’s and the Frog Brothers, is something I absolutely cannot wait for. 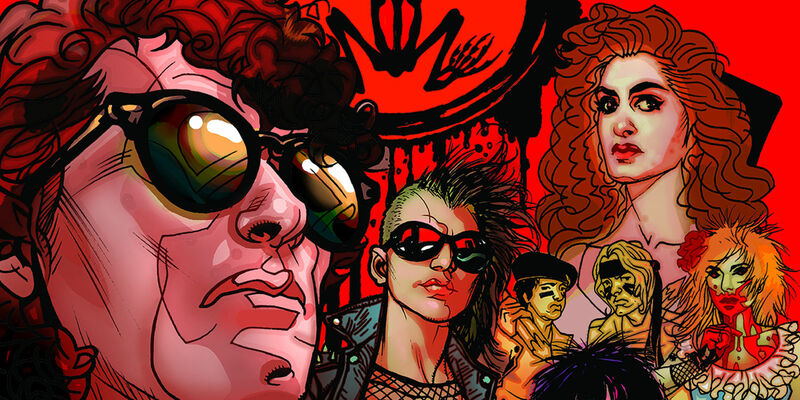 The first issue of The Lost Boys, with art by Scott Godlewski and Patricia Mulvihill and covers designed by Tony Harris, hits the shelves On October 12th.